Zambia has one of the youngest populations in the world. The average age is just 17 years old. Half of the population lives below the poverty line. This will only change if more young people, who make up most of the population, can earn a living. The Queen’s Young Leaders grants programme was established to provide opportunities for young people in select Commonwealth countries to learn new skills, secure employment, create enterprises and have a say in decisions affecting their future. 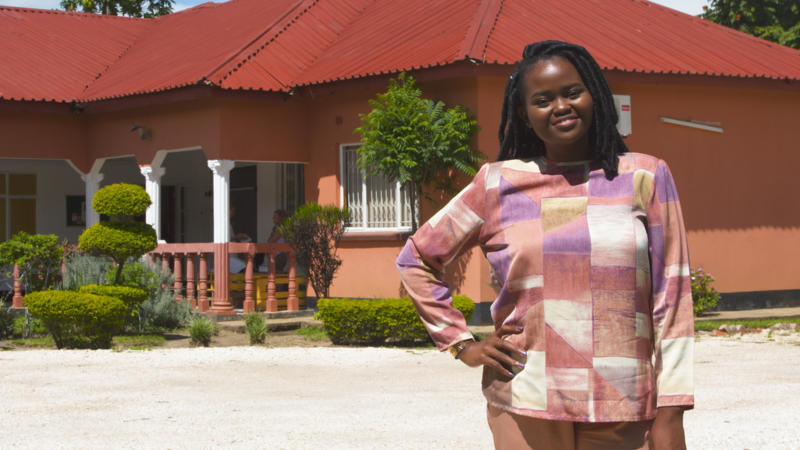 In 2015, compelled by the potential of Zambia’s young people, the programme gave a grant to BongoHive, the first “start-up incubator” in the country. This exciting social enterprise helps develop entrepreneurs, and hosts workshops and events, all focused on making Zambia Africa’s next hotbed of innovation. At the heart of its work, BongoHive provides young people with training, connections and practical support to enable them to start their own businesses. Its priority is to help young people to turn their creative ideas into plans for scalable businesses. Young people who access BongoHive’s services receive intensive hands-on training, mentoring and links to fellow entrepreneurs, investors and employers. The result is that they are able to plan and set up businesses that can thrive and survive. The businesses that BongoHive support are diverse, but they all aim to work at scale. Start-ups range from using mobile technology to provide financing for people without access to bank accounts, to manufacturing and selling organic beauty products. BongoHive’s participants are evenly split between men and women and it expects all the young entrepreneurs to learn critical thinking and problem solving skills. The young people that graduate from the programmes have a higher chance of succeeding in business ventures, have improved job readiness, and are already creating jobs for other young people. For BongoHive, this improved “pipeline” of business ideas and entrepreneurs is enabling it to engage more high profile businesses and highlight to policy makers the potential for youth entrepreneurship to unlock real growth. It is this approach that BongoHive believes will ultimately lead to Zambia to become a hotspot for innovation and entrepreneurship in Africa. The Queen’s Young Leaders programme has awarded grants to eligible organisations in six Commonwealth countries – Bangladesh, Jamaica, Sierra Leone, Solomon Islands, the UK and Zambia – to support projects led by – or focused on – young people.